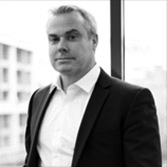 Gary Toomey is an experienced senior executive having led several businesses in the energy and technology sector. He has extensive experience of design, manufacturing and installation of renewable energy technologies and taking early stage prototypes into full commercial production. During Gary’s career he has gained international experience having worked in China, Singapore, UAE and the USA. Gary has considerable senior management experience and holds a BA Hons in Leadership and Management from Northumbria University. Rosie is responsible for the daily running of capelplanning, an independent planning and permitting management company which has been commissioned to support Tourian in gaining required planning and permitting approvals and regulatory compliance for the pilot plant and subsequent developments. Rosie is masters qualified Geologist with eight years of experience working within Environmental and Process Safety Consulting, Planning and Permitting. Rosie has experience in environmental compliance and environmental assessment and has provided planning application and environmental permitting support for local and international developments across a range of industries, including process, power generation and renewables. 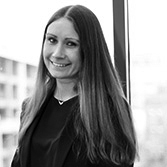 Rosie also has experience in the assessment of environmental impacts of potential major accidents in the process, oil and gas and nuclear industries.